ExpressVPN, Express VPN or simply Express is one of the oldest and best known VPNs on the market. It is also one of my favorites. Why? First of all, because it is very fast and therefore ideal for streaming and downloading via torrents. Secondly, it covers a wide range of countries (more than 90 at the time of writing this article). And thirdly, its applications are simple, easy to use and available for the majority of operating systems. 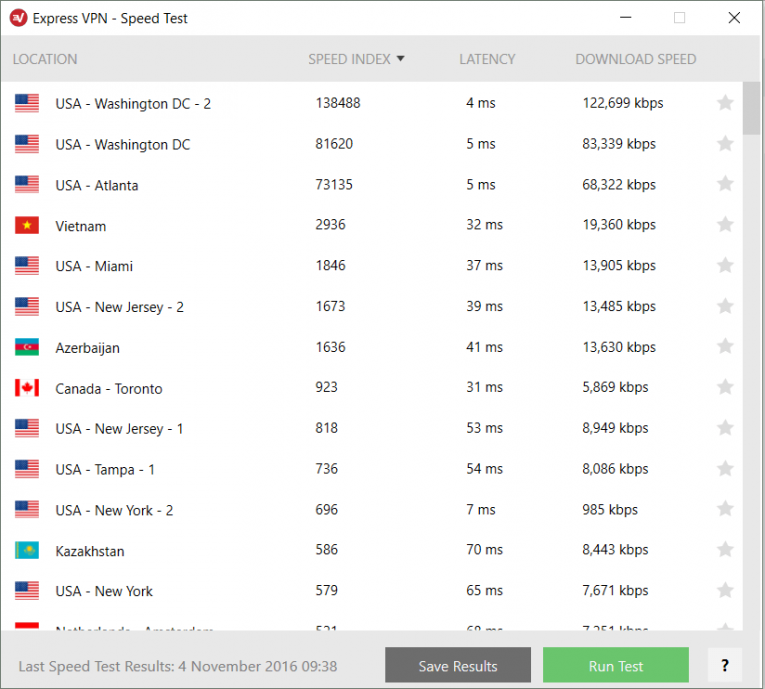 Now, let’s take a closer look at ExpressVPN’s test results. At the top of pcnow.com’s ranking, ExpressVPN is an industry leader which offers a very fast and private network. It offers seamless streaming of TF1 Vidéo, Netflix, Pluzz, M6 Replay and many other channels. In addition, ExpressVPN allows its users to securely do P2P file sharing and torrent downloading and does not keep any logs! In fact, Express VPN does not have any sort of recording policy (no logs). While your IP address and the bandwidth that you have consumed are recorded for the network’s internal purposes (to offer optimal service conditions), you can rest assured that your private activity will remain anonymous. Operating out of the British Virgin Islands, ExpressVPN has been working hard to satisfy its users for many years. ExpressVPN can be compared to HideMyAss in terms of the services that it offers – world class services that cannot be beat! In addition to its excellent geographical coverage (94 countries, among which are included France, Canada, Belgium, Switzerland and Algeria), there are no bandwidth limitations and traffic benefits from a level of encryption that would satisfy James Bond himself. Lastly, ExpressVPN provides client-side software for PCs (Windows, Mac, Linux) as well as native apps for smartphones and tablets (iOS, Android). 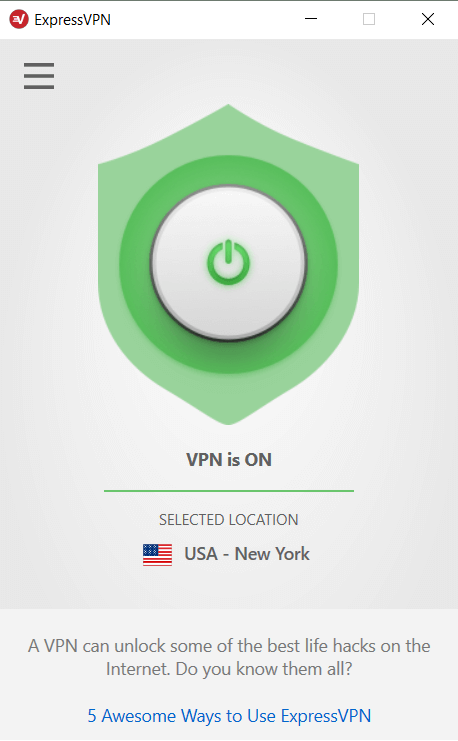 While it is possible to manually configure a VPN connection on a smartphone, the app makes it possible to use the OpenVPN protocol, which is the best VPN protocol at the moment. ExpressVPN offers 3 types of subscription billing: monthly, every 6 months and every 12 months. I always recommend the year-long subscription because it is the most economical (35% less expensive – a nice savings!). Furthermore, ExpressVPN is not a very expensive VPN (around 8 euros per month). It does not offer a free trial, buy you can try out their service risk free for 30 days thanks to their money-back guarantee. In fact, if you are not satisfied with the service, you can cancel your subscription at any time during the first month and not have to pay anything for the trial period. I try to update my test regularly in order to keep up with the services being offered by these VPNs, however it is possible that Express VPN’s offering may have changed since I wrote this article. Therefore, I recommend that you visit their website in order to take advantage of their latest offerings and promotions! ExpressVPN allows its clients to use the P2P protocol as well as to download torrents. 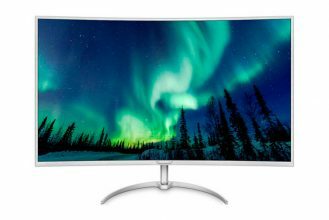 Moreover, they do not impose any kind of limitation on bandwidth consumption. Therefore, with a fast internet connection, ExpressVPN is ideal for downloading in total security. However, a word to the wise: as with most VPNs, it is prohibited to engage in any kind of illegal activity via Express VPN’s connection. Of course, ExpressVPN offers a Kill Switch feature (there is a reason why it is the top rated VPN provider). So, what’s a Kill Switch? 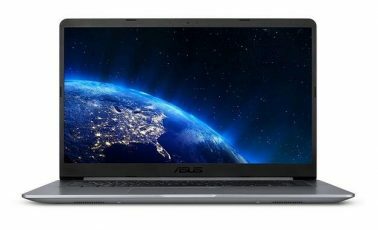 It is feature that blocks all of your internet traffic in the event that your connection to the VPN is suddenly lost – something which does happen from time to time. In this way, your IP address will never be visible and will always remain private and secure. However, if you activate Split Tunneling, you will be able to get around these limitations and to use all of the services that you require while still remaining protected. In this instance, configuration plays a key role. Most of the time you want to make sure that your traffic is transiting through the VPN. But, with Split Tunneling, you are creating exceptions. So you need to be sure that you have correctly configured ExpressVPN in order to avoid the possibility of transmitting and receiving any data in the clear…All of your sensitive downloads should be done through the VPN connection! Whenever you connect to the internet, your ISP automatically assigns DNS servers to you – their own. Which means that all of your requests will be knowable…Changing your DNS increases your anonymity and reduces possible censorship. That is why ExpressVPN puts their own DNS at the disposal of its users. 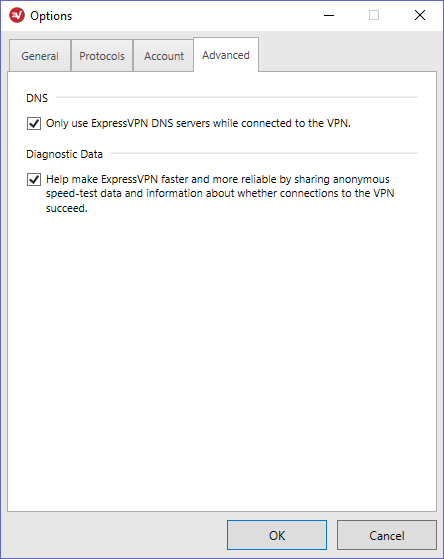 And, contrary to other VPNs, with ExpressVPN your DNS activity is encrypted to guarantee your anonymity. 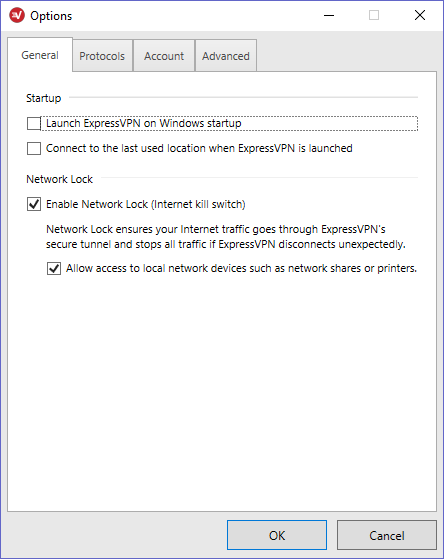 ExpressVPN’s Windows client is strikingly simple to use: all you need to do is launch the program and choose the country to which you would like to connect, that’s all – you will be protected from then on in! There is just one other thing to mention about the first time that you connect to the VPN: if the client software asks you for an activation key, you can find it on ExpressVPN’s website, in your customer section. I often use the “Smart Location” to connect directly to the fastest server. But, if you prefer, you can obtain detailed information about each VPN server. In fact, Express has a speed test feature that will indicate the speed index, latency and download speed of each server. This will allow you to choose the best server for each country. All of the basic options are present, however they are not very numerous, which could lead some people to seek out a VPN provider that allows for more configuration options. 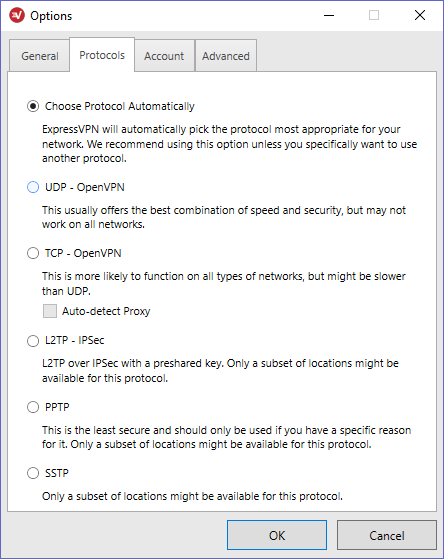 ExpressVPN’s software has four options tabs to set whether or not ExpressVPN starts with Windows, to change protocol (set to Auto by default), to activate the Kill Switch and the DNS which we spoke about earlier, as well as an option to disconnect from the VPN! Express VPN has a piece of software tailored to each platform, be it PC, Mac, Android, iPhone or iPad. Without dismissing the fact that, with like any VPN, you can manually configure the various connection parameters on a mobile device, Express VPN offers a proprietary application designed specifically for each mobile operating system. And, in accordance with the philosophy that you shouldn’t make changes to a winning team, these mobile clients are similar to their desktop counterparts in terms of design and functionality! ExpressVPN is also available for Chrome and Firefox. 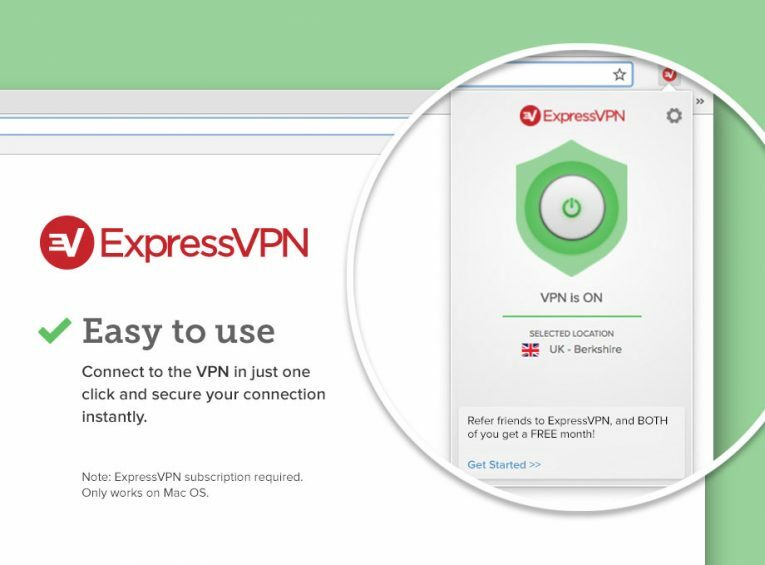 Their respective extensions are both easy to use (yet again) and will allow you to connect to all of ExpressVPN’s servers. Furthermore, essential functionality such as the Kill Switch and protection against DNS leaks are also available in the browser versions. And, contrary to most extension, ExpressVPN’s extensions protect ALL of your traffic, not only the traffic transiting through your browser! ExpressVPN’s VPN service is a complete solution that will suit most people’s needs. It is ideal for people who require a VPN which is easy to use and which will allow them to stream videos, download torrents or simply surf the internet. It works in all countries (even China), it offers VPN client software for iPads as well as for Android and iPhone devices and is well suited for people who want to watch television on the internet and download torrents without any sort of bandwidth restrictions. Its negative aspects (if you can call them that) are: its price, which is higher than the average as well as the fact that it does not have an integrated firewall (NAT firewall) or IP Binding. But, in all other regards, ExpressVPN is the Ferrari of VPNs! That concludes my test of ExpressVPN! There will be others, stay tuned!